My husband is battling brain infection after surgery to remove a malignant tumor. They still have not diagnosed his bacterial infection. His head starting seeping fluid and blood at a very high rate along with a lot of swelling. They reopened his skull and cleaned it out. He is in severe pain and is still swollen. His surgery was February the 11th! They still do not know the strain! 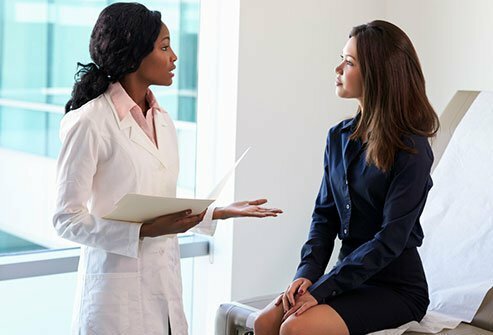 Severe inflammation caused my abnormal Pap smear results. I have just finished treatment for breast cancer, two surgeries and 7 weeks of radiation therapy. I recently had a pap smear and found out that it was ok but there were endometrial cells on the pap smear. Since my breast cancer was not diagnosed for two years, fortunately the tumor was small and did not spread and I was told the spot was probably benign after mammograms every 6 months, I am a little skeptical to just sit back and wait to see if my next period is ok. My doctor said that if I was not ok with waiting, she would do a biopsy. I'm just wondering what this may mean now and what to do. After 20 years of normal pap smears I have an abnormal LSIL result. I have had an affair with a married man for one year. He has been married for 10 years and his wife had no abnormal paps to date. I am such a fool.